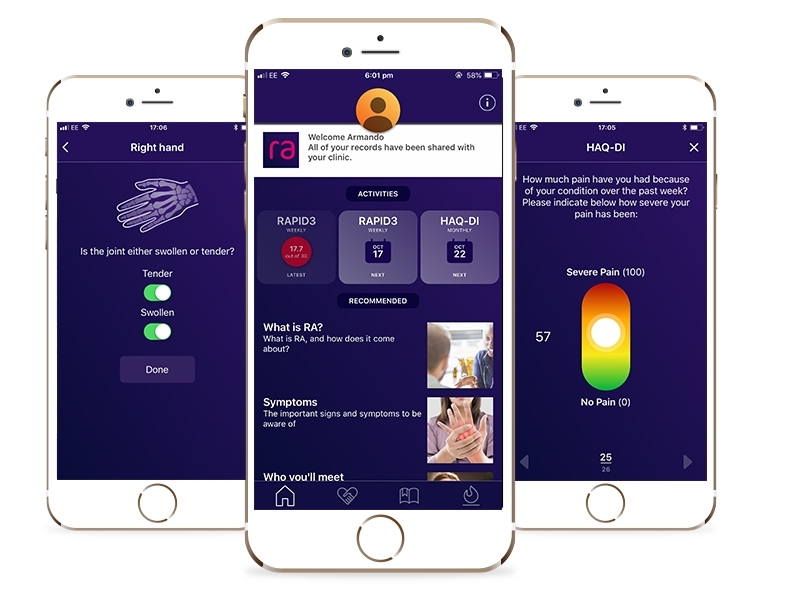 The clinician-monitored RA app that helps patients improve self-management and provides robust data to help clinicians currently tailor treatments to the patient’s need. 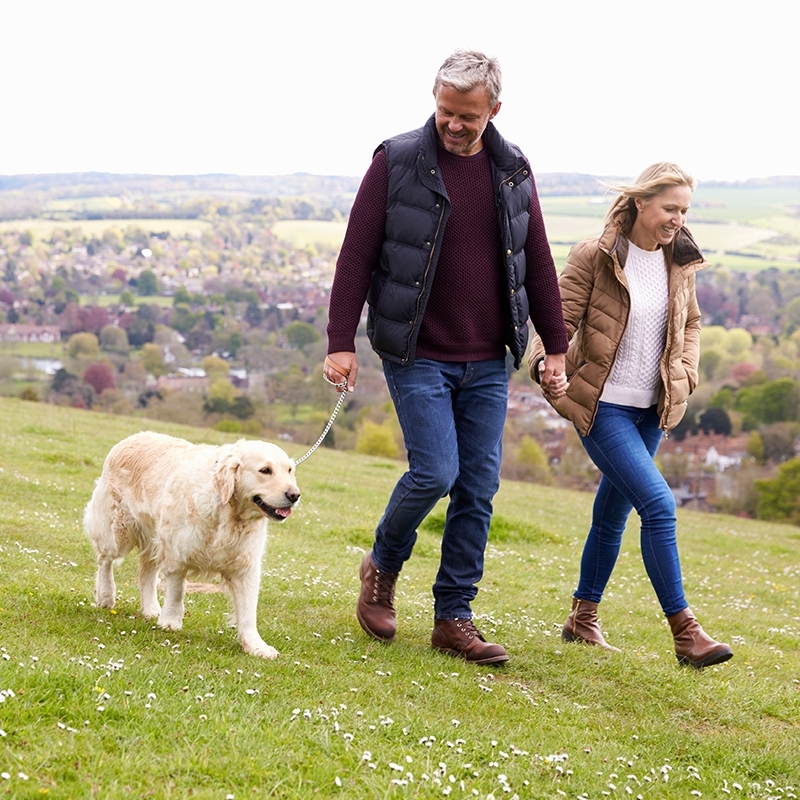 It’s estimated that around 690,000 adults in the UK have the progressive musculoskeletal disease, rheumatoid arthritis – with around 26,000 additional people being diagnosed each year. Clinical management of RA is based on infrequent and pre-scheduled appointments regardless of the patients’ condition activity, with patient data collection solely based around these interactions. This means that patients may be in remission or have already experienced a flare-up when their consultant sees them. To complicate things further, its difficult for patients to remember exactly how active their disease has been over the months since their last appointment, meaning it can be difficult to correctly tailor treatments to the patient’s need. Living With Rheumatoid Arthritis helps people to be more in touch with the state of their condition to understand their triggers, flare-ups and prevent long-term damage to the joints. 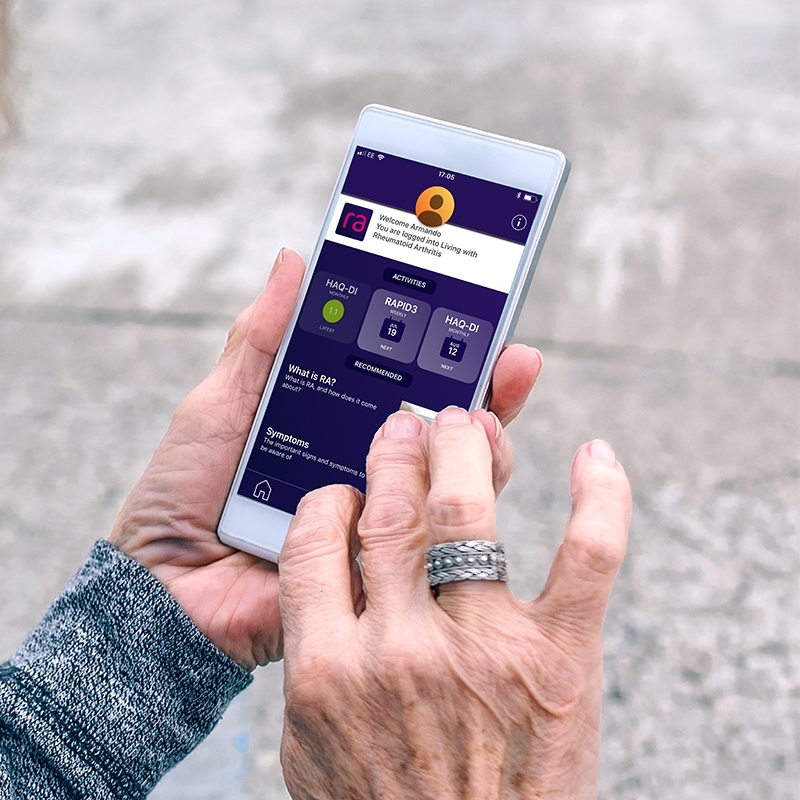 It enables clinicians to give a free and connected version of the Living With RA app to their patients. The result is that clinicians can login and view their patients’ condition activity at any time. Living With Rheumatoid Arthritis acts as a decision support tool with detailed breakdowns of key data points such as flare-up reporting and outcome data from HAQ-DI or RAPID3 PROMs. 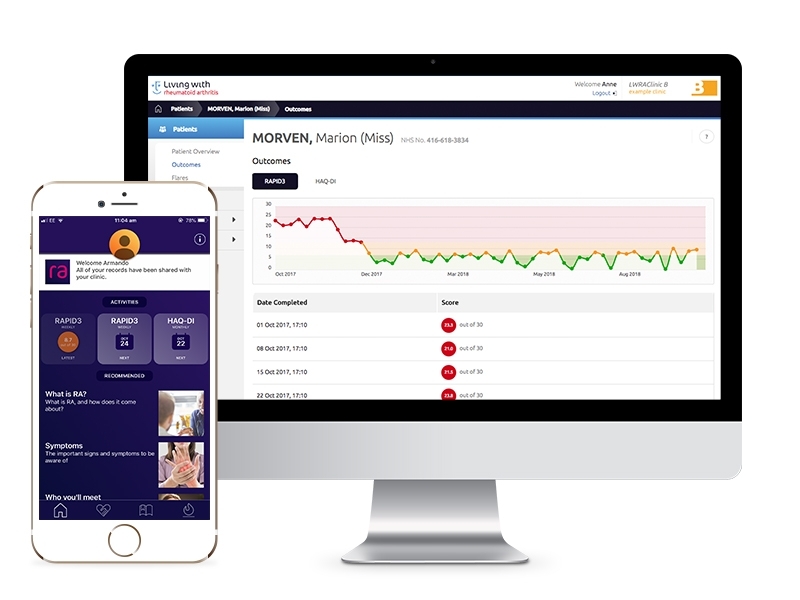 Get in touch to book a demo where we’ll walk you through the Living With Rheumatoid Arthritis software, discuss how it could integrate into staff workflows and identify ways it can support efficiencies in your clinic.